As you proceed to phase 1 and 2 clinical trial studies, your production needs will probably increase. In order to meet demand, your processes will need to be scaled up from laboratory scale to industrial scale. HALIX has extensive experience in transferring processes from pilot scale to industrial scale. 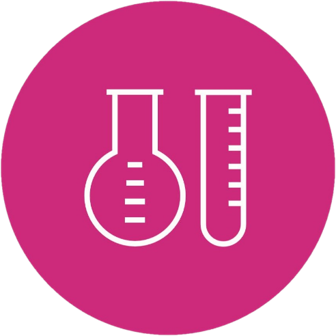 Based upon existing processes, our experts can scale up the production to meet the needs of your TOX, clinical and even commercial batch sizes. Depending on your specific manufacturing requirements we can also offer engineering batches and technical batches. In our scalable, completely single-use based facility, drug substance and drug product can be produced. HALIX offers production based on cell culture flasks, roller bottles and bioreactors (50-1.000 liters, shaking or stirred bioreactors). HALIX ensures in a cost-effective and GMP compliant manner that your critical quality attributes are unchanged in the resulting scalable process. In this way HALIX can produce sufficient material for you to perform your clinical trials, stability studies and meet your commercial production needs. To find out how we can meet your needs by scaling up your production, please contact our dedicated staff.